November 11, 2018, 2 – 4 pm . 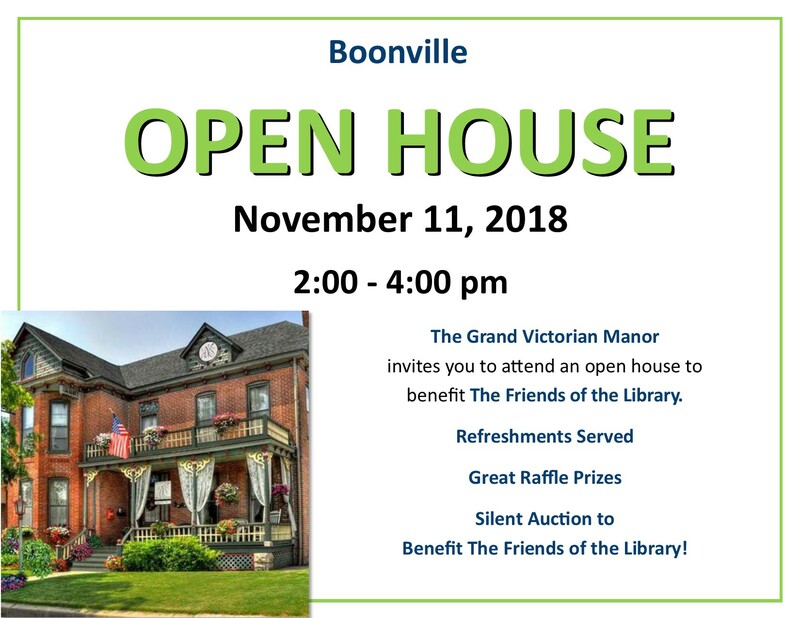 The Grand Victorian Manor invites you to attend an open house, to benefit The Friends of the Library. Tour the bed and breakfast, learn about Boonslick ghosts from historian Mary Barile, and get an update on the plans for the Cooper County library. Refreshments Served. Great Raffle Prizes and a Silent Auction to Benefit The Friends of the Library.